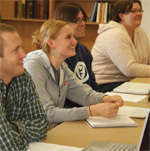 This second 2004–2005 Word & World lecture was delivered by Professor Walls on November 18, 2004, as part of Luther Seminary’s commemoration of the life and work of Gudina Tumsa. Walls describes earlier episodes in the history of the witness and martyrdom of the African church. For an account of Gudina Tumsa’s life and martyrdom, see the first lecture by Tasgara Hirpo in the Spring 2005 issue of Word & World.